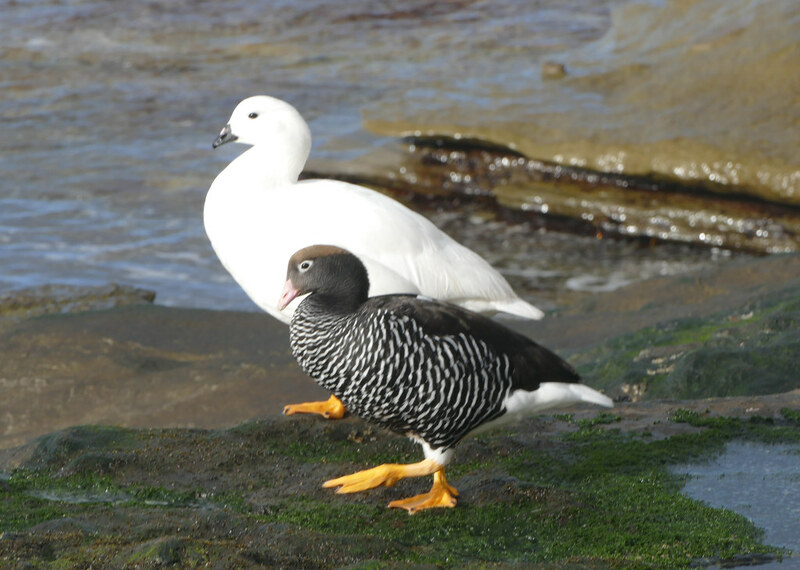 The kelp goose , is a member of the duck, goose and swan family Anatidae. It is in the shelduck subfamily Tadorninae. It can be found in the Southern part of South America - mainly in Patagonian Chile, Tierra del Fuego, and the Falkland Islands.